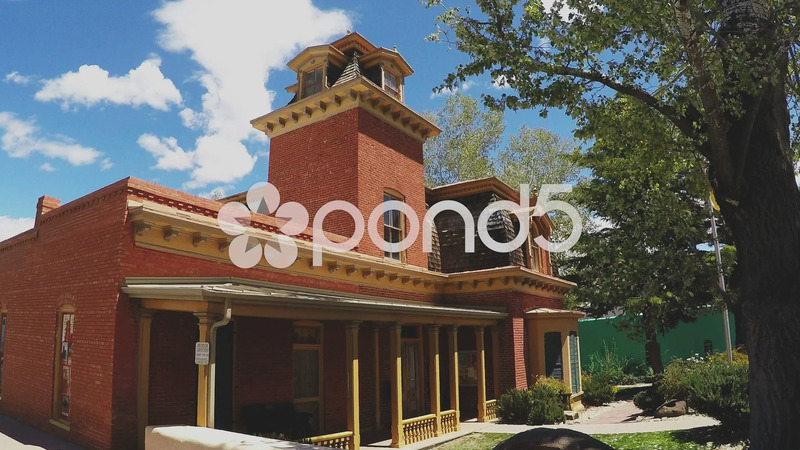 Description: Close up shot of a Victorian era house in Silver City New Mexico. A big red brick home in the Southwest has been converted to a museum in historic town. Part of a series of clips by ChromaVid featuring museum, monument and landmark stock video.